Ski Holidays to Saalbach in Austria 2017 & 2018. Finding the perfect skiing holiday can be a challenge as no 2 ski resorts are exactly alike. Matching your tastes with those of a compatible destination can make the difference between a good holiday and a great holiday that you will never forget. For that reason it is wise to research the traditional ski resorts and to try to detect where they differ and their distinct nuances. One of the most highly rated destinations for the intrepid Alpine skier is Saalbach in the Pinzgau region of Austria which forms part of the Kitzbuheler Alpen. The highest mountains in this area are Hochkogel to the south and Spielberghorn to the north, standing at 2249m and 2044m respectively. Saalbach, which has been known as Saalbach-Hinterglemm since its name was changed in 1987, lies in the Saalbach Valley whose sides form the basis for the many slopes available to skiers. There is in fact a 3 piste network in this municipality of Saalbach, Hinterglemm and Leogang. Leogang is popular with snowboarders and more advanced skiers alike because here they can find better kickers as well as rails and jibs. Saalbach is one of Austria’s premier ski destinations and is well equipped to deal with visitors looking for a ski holiday with a fun, lively atmosphere and an apres-ski renowned for its partying and celebrations until the small hours. This postcard Austrian village, with cobbled streets and quaint dome-topped church, outshines similar resorts with an abundance of nightlife to choose from; visitors can try one of the many bars and nightclubs in the town like the ‘Kuhstall Bar’ with its live music, ‘Kings Disco’ and ‘Dorfstrasse 33′. Alternatively down the valley in Hinterglemm, Glemmerkeller or Tanzhimmel to name but 3, offer traditional Austrian apres-ski with schnapps, beer and dancing in ski shoes. Most venues remain open until the very small hours, providing entertainment for those skiers who still have energy to burn after their ski session has ended. In addition there are dozens of eateries and restaurants where guests can experience traditional Austrian fare like dumplings or noodles or even wild boar and elk! Apres ski is not simply limited to the rowdy variety and for those who enjoy the more ‘active’ apres-ski, they will not be disappointed either, with skidooing for adrenaline junkies and sleigh rides for those who perhaps just wish to relax. There are also tobogganing and snowcat rides up in the mountains. Others might simply choose to relax in their hotel’s pool or spa. There is provision for families with creches within some of the hotels as well as 9 ski schools and lessons are available for 4 year olds upwards. There is an indoor swimming pool at Hinterglemm and there are numerous pools and play areas for children within the various hotels. The pedestrianised high street makes shopping safe and accessible and here travellers can find a selection of delightful boutiques and ski shops. For those looking for local culture there are wood carvings, knitwear and chocolates. Although more seasoned shoppers may prefer to make use of the excellent transport links and venture to Salzburg, which is only 56 miles away and makes an excellent day trip for when your legs need to recover from the slopes. Getting around locally is a breeze as buses between villages are free to those who can show their ski pass. Starting in early December, the season continues until the beginning of April and the slopes here are rated 4 stars for beginners, intermediates and snow boarders with the expert rated slopes achieving 3 stars. The slopes form part of the Ski Circus with over 200km of piste to choose from. In the combined Saalbach and Hinterglemm Ski Circus there are 27 easy pistes, 29 intermediates and 5 difficult which are served in turn by 55 lifts. Should snow be in short supply is unlikely in a resort 1003m above sea level – snow cannons cover 90% of the runs. For real connoisseurs the longest piste is Schattberg at 7km and there are 40 mountain restaurants. Although only 3 stars for expert ski pistes, there is plenty of opportunity for the experienced skier to make their own fun off piste in the deep snow on the north side of the valley and furthermore the resort was home to the Alpine Ski World Championships back in 1991. 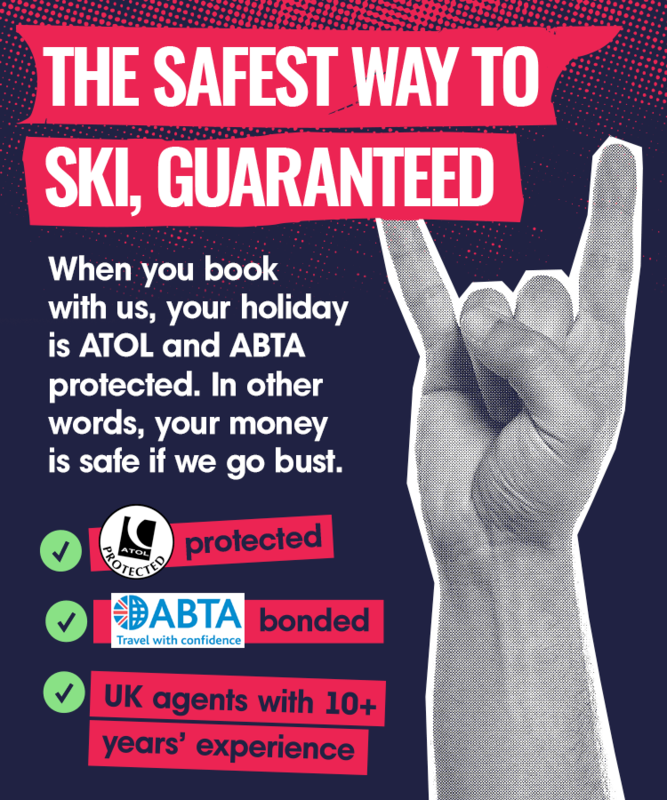 It has also held the British University Snow sports Championships and the British Royal Air Force Championships on numerous occasions, which shows how highly rated the skiing is here.